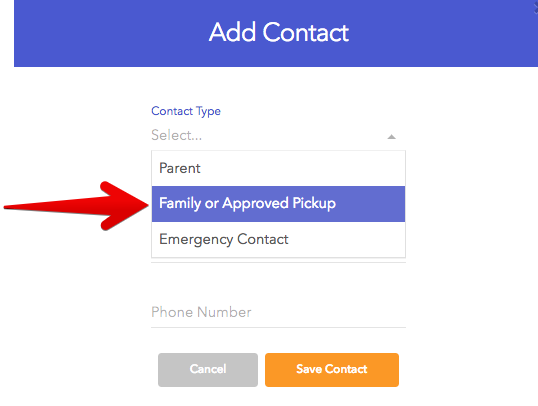 School Administrators and Parents who have successfully connected to their child on brightwheel can add additional approved pickups, family members and emergency contacts to their child's profile. 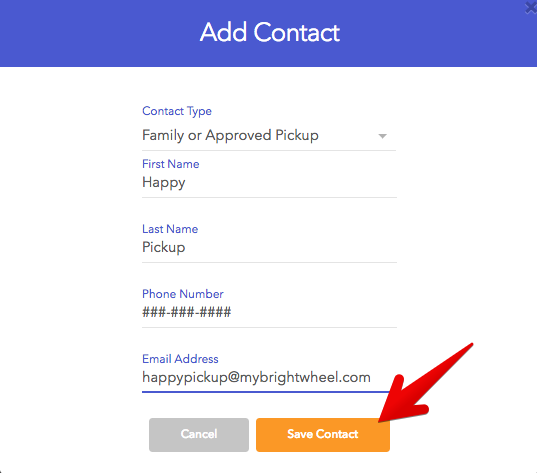 Note that each Contact Type has a different level of access to a child's profile and brightwheel features. Can send messages to the school, but cannot receive messages or see sent/received messages.